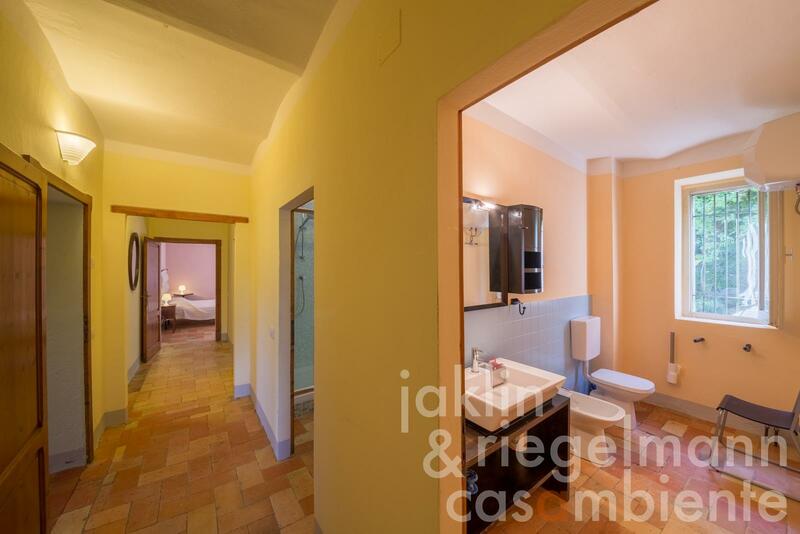 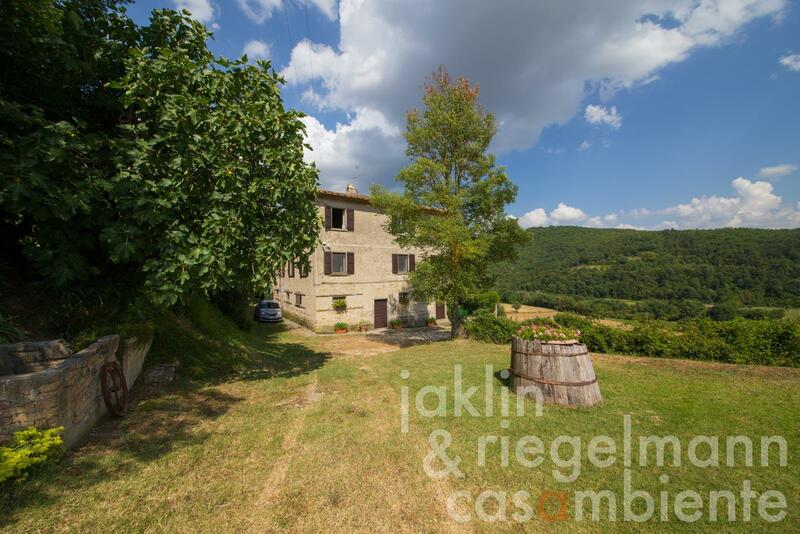 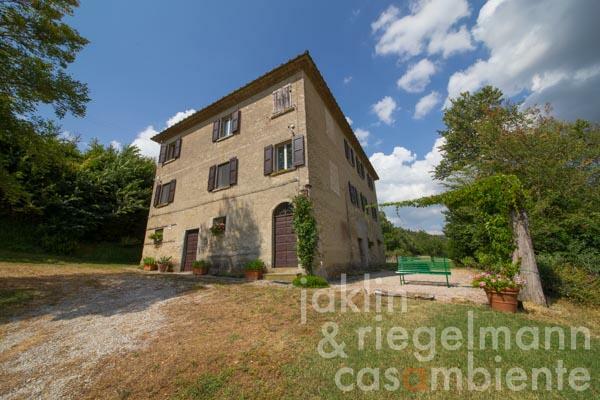 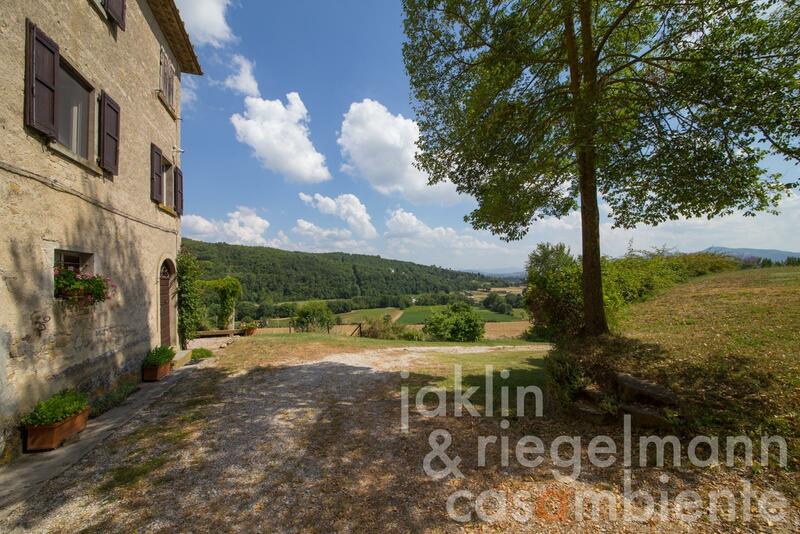 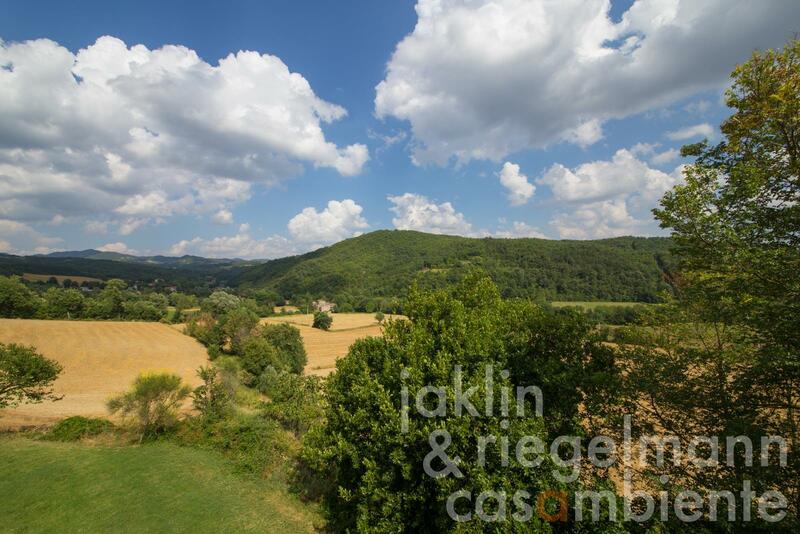 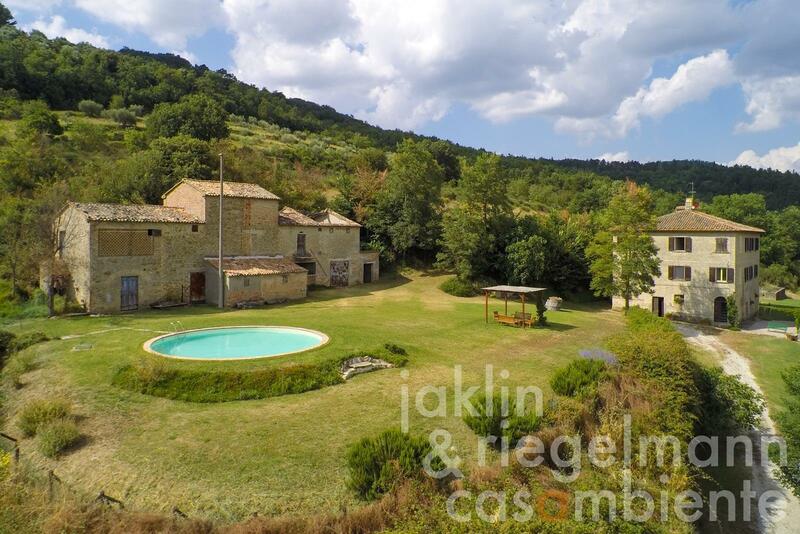 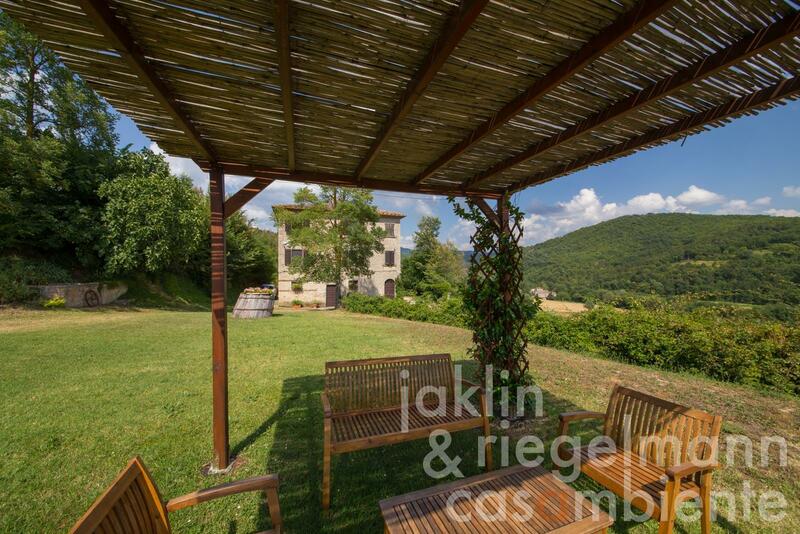 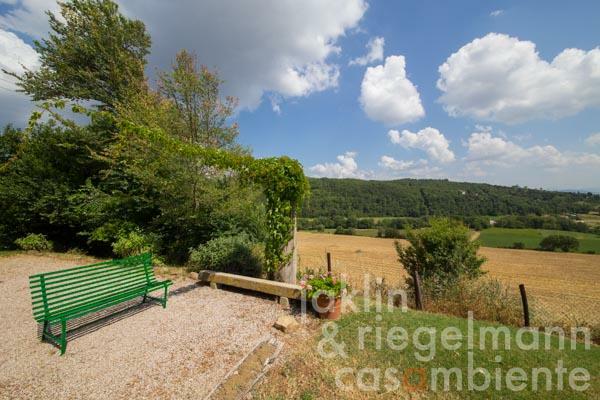 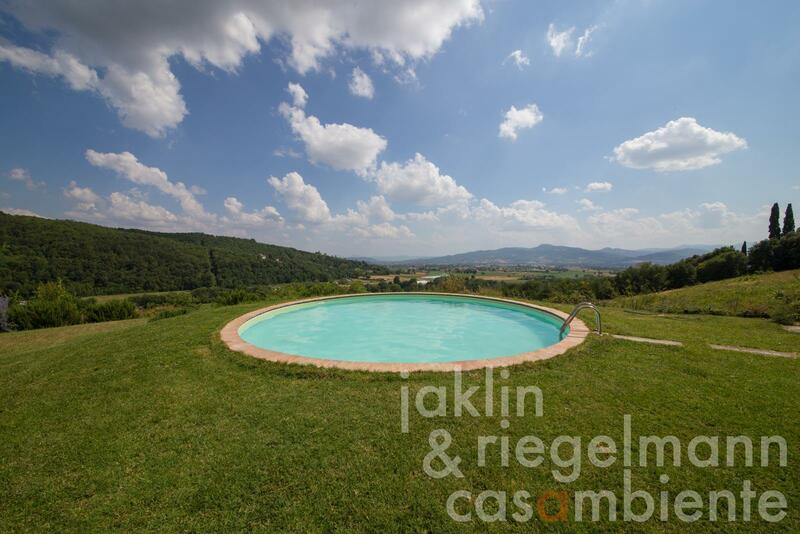 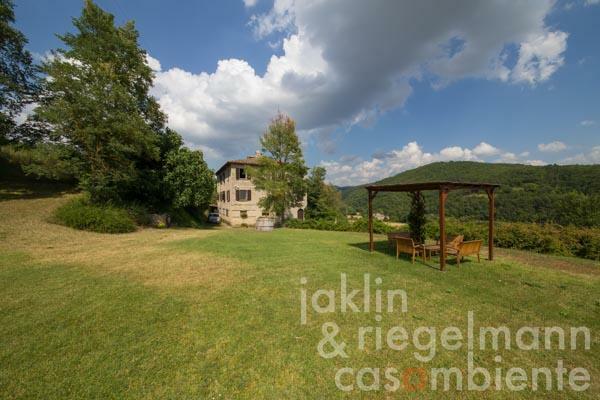 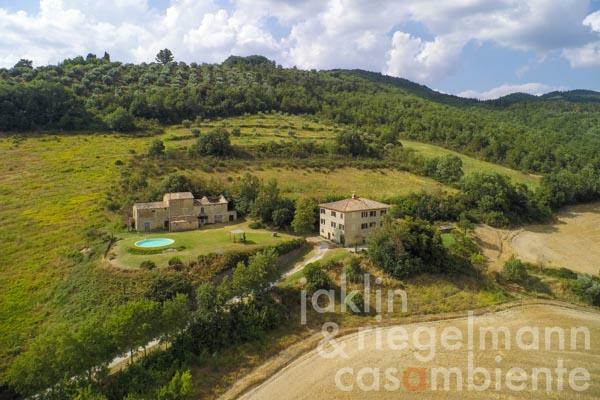 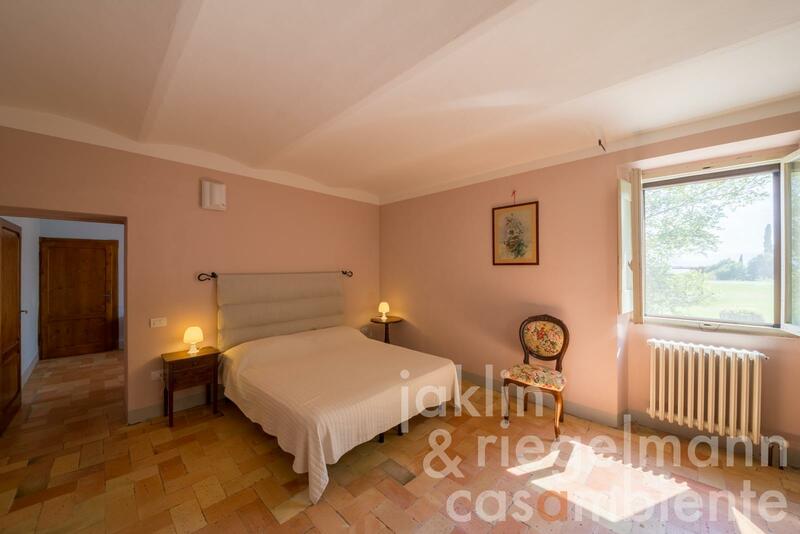 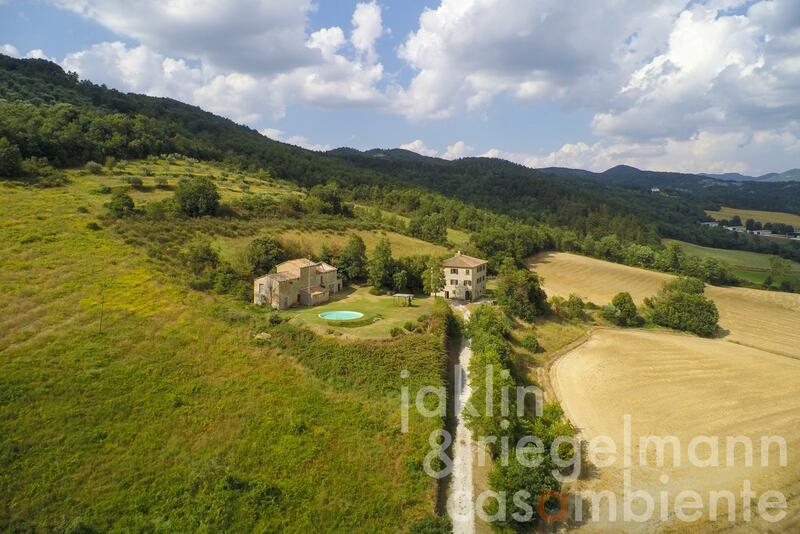 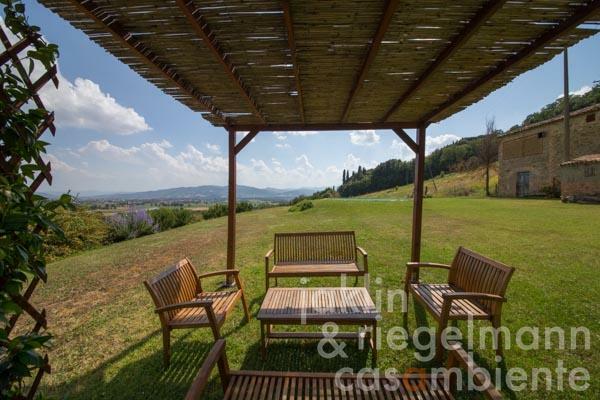 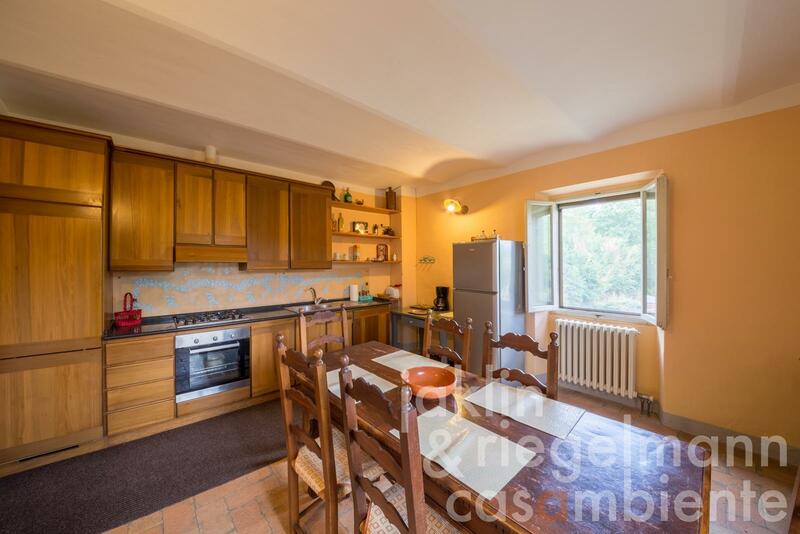 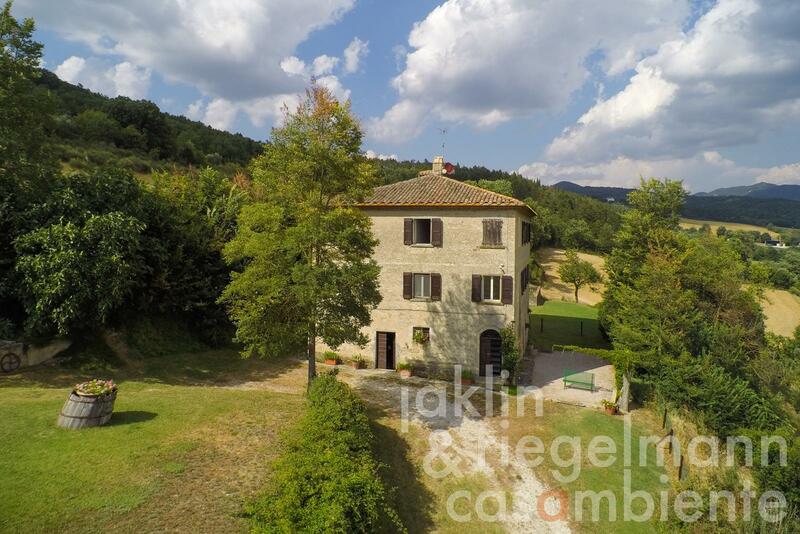 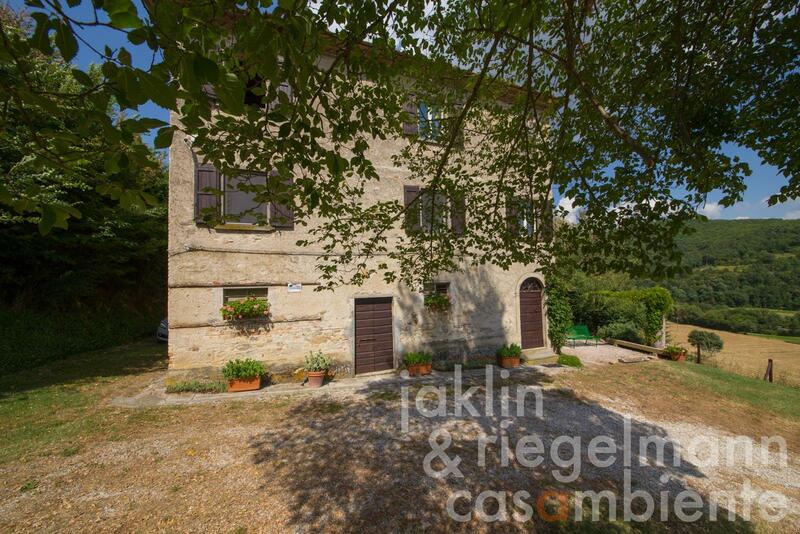 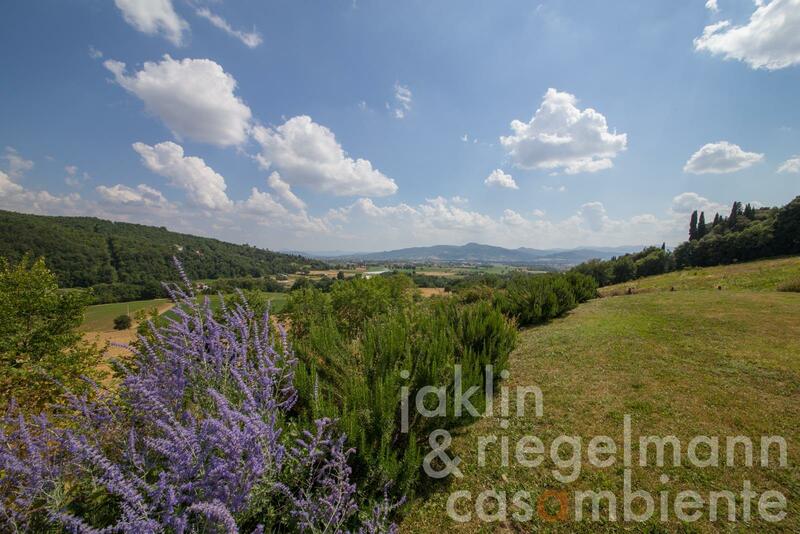 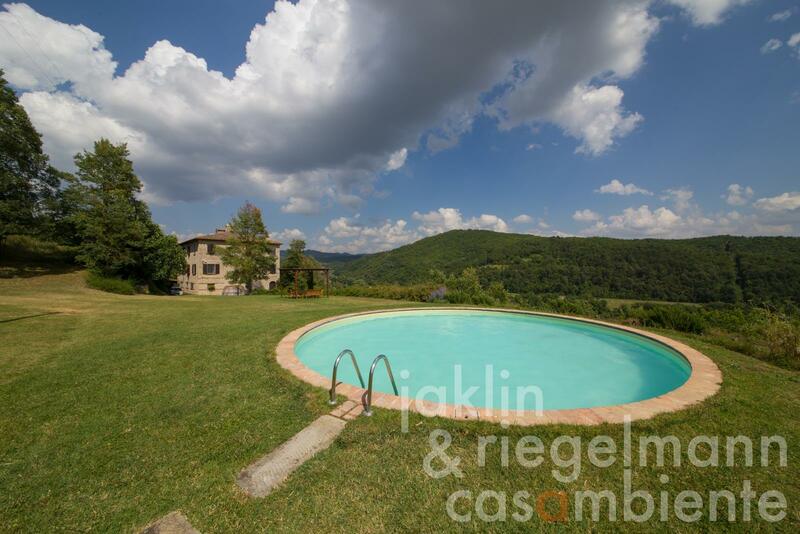 Umbrian country house for sale with annexe and pool close to Città di Castello. The estate comprises of a plot of 6,030 m²; additional approx. 12 ha of surrounding land with farm land and meadows suitable to keep horses can be purchased. 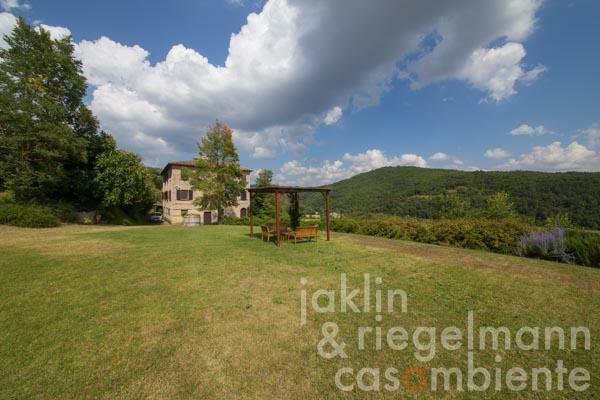 Both buildings offer magnificent panoramic views across the valley. 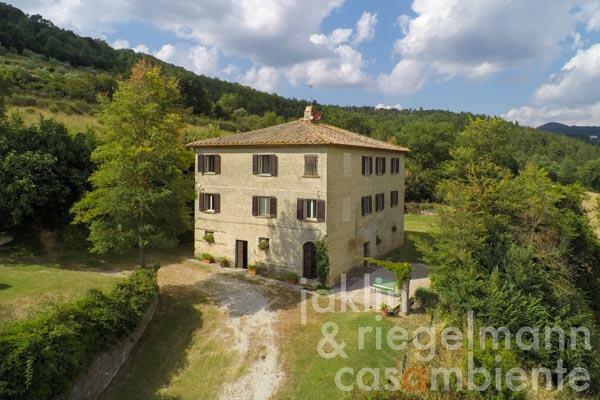 The country house with 420 m² offers three floors with 140 m² each. 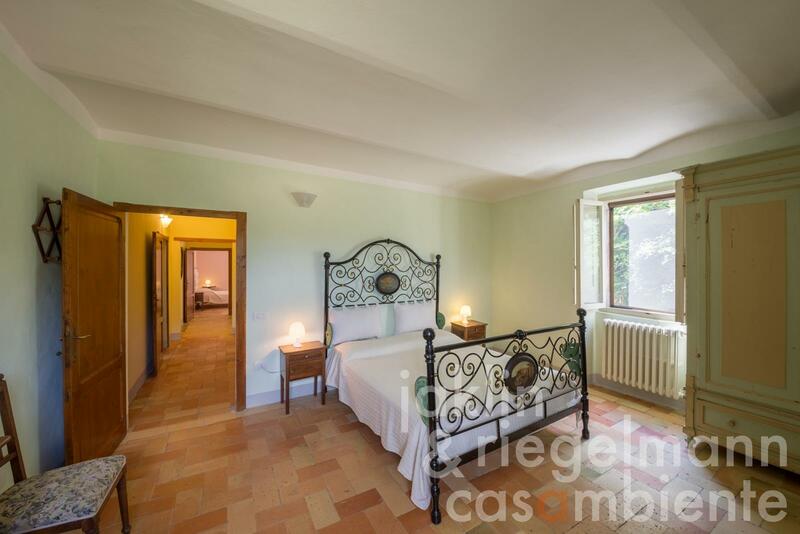 The first floor has been restored by the owners. 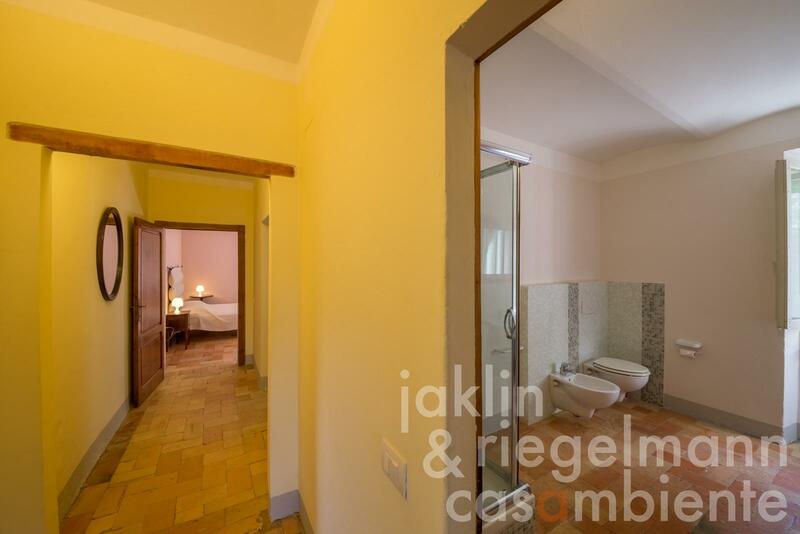 The ground floor still features the old stone tiles of the former stables, a part is currently used as cellar. 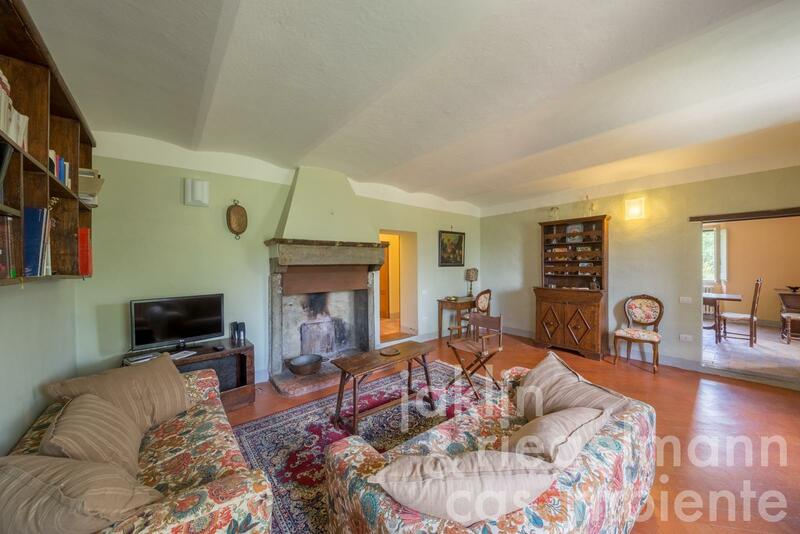 The restored first floor offers four bedrooms, a large living room with open fireplace, an eat-in kitchen and two bathrooms. 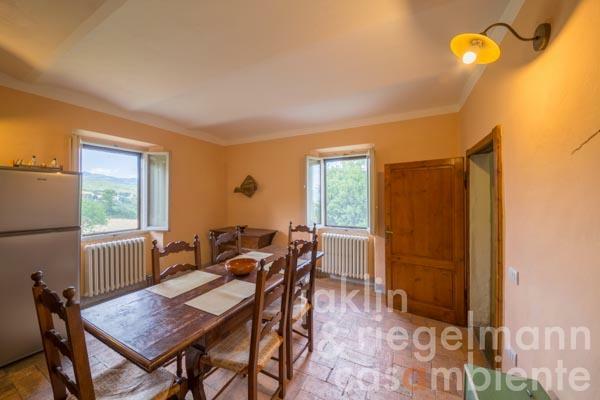 Four large rooms to restore on the second floor round off the country house. 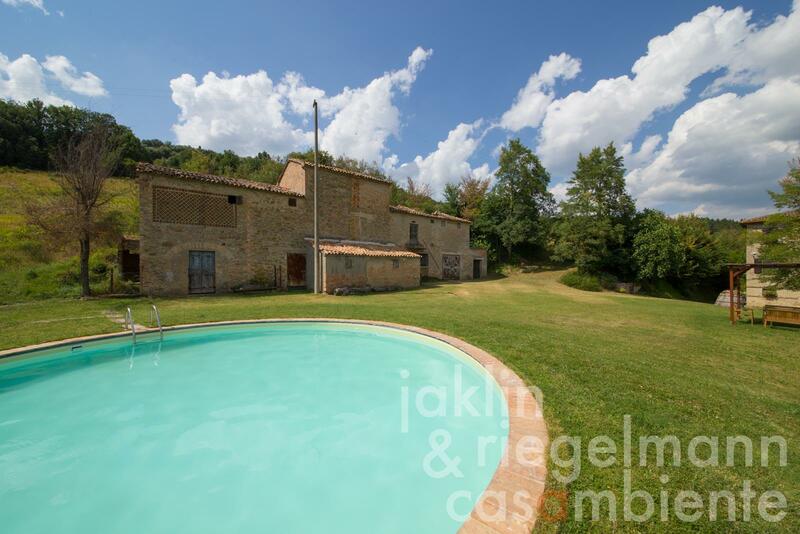 The country house can be extended by 80 m³ (approx. 30 m²). A building project for the annexe with approx. 310 m² was drawn up and granted. 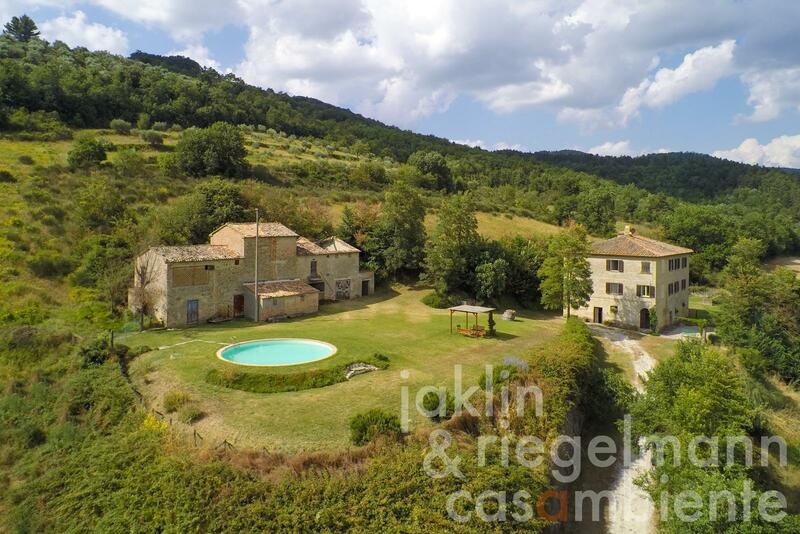 Italy, region Umbria, province Perugia, municipality Città di Castello. 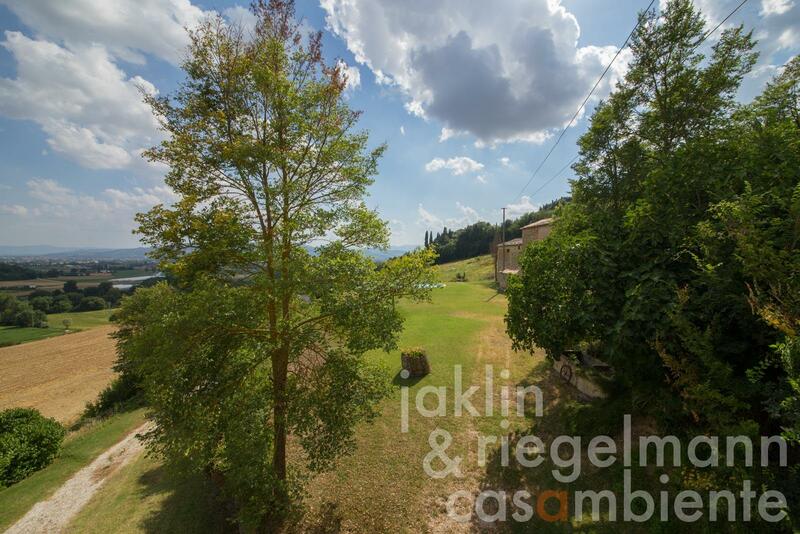 6,030 m² additional 12 ha of surrounding land can be purchased. Electricity, mains water, own spring water, central heating, fireplace, telephone, broadband internet access, swimming pool, garage, private parking, garden.